Doug moved to Winlock in 1989, where he worked as a general contractor, providing services to the greater Lewis County area. 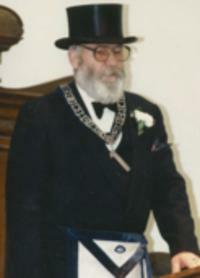 As a Freemason of the Chehalis Lodge #28, he was deeply involved with helping others and became a fixture in the community through many hours of volunteering at the Winlock Food Bank, the Senior Driving Program, Search and Rescue, the Amateur Radio Club and as Santa Claus, delivering joy and presents at the local grange and local venues. Doug loved books and spent many hours reading and learning about various topics. He is survived by his wife of 30 years, Catherine; children, Christina, Cameron and Craig; and grandchildren, Caitlin, Corey, Angelica, Nathaniel and Kiel; as well as four great-grandchildren. He was preceded in death by his granddaughter, Samantha.